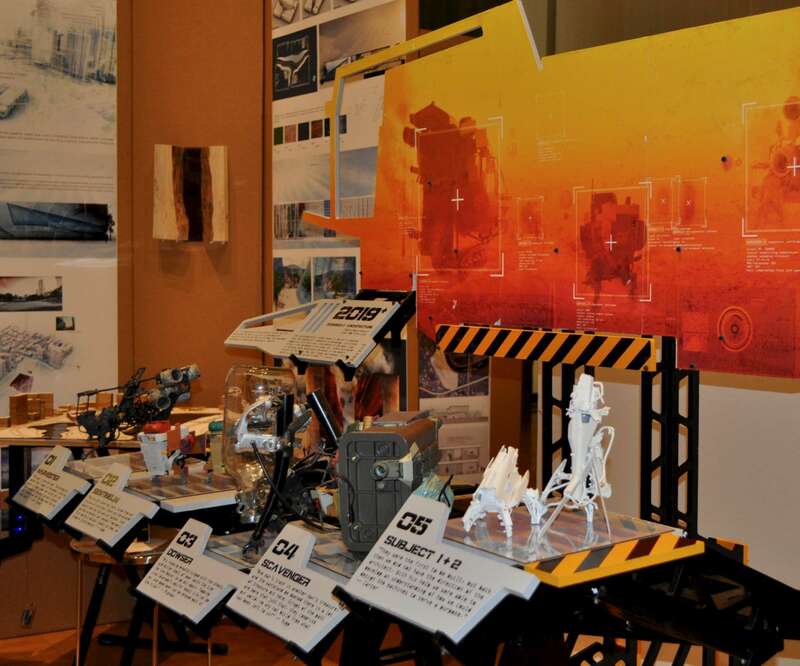 Graduating architecture students celebrated the culmination of their studies during the 15th annual Chumash Show May 26 to 27 in Chumash Auditorium. 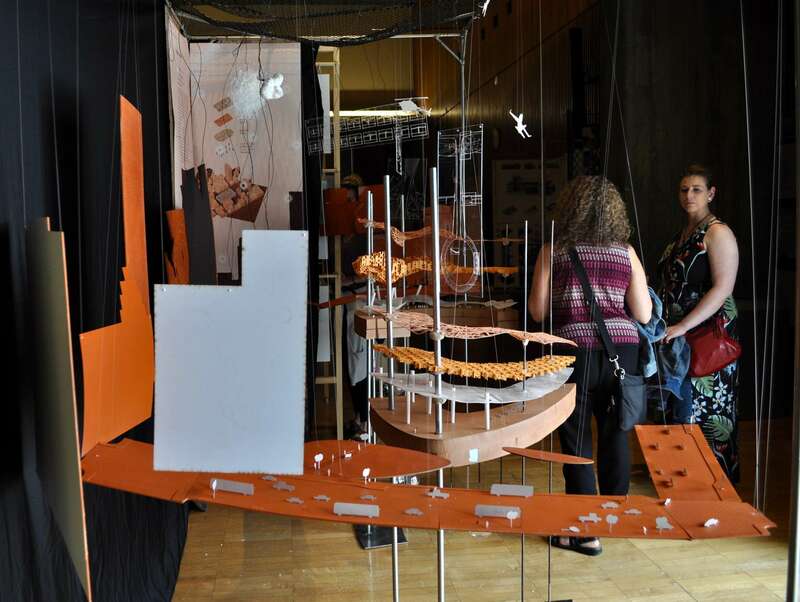 Each of the 148 architecture seniors displayed their thesis project at the showcase, which is the largest architectural exhibition between San Francisco and Los Angeles. The show is put on by the Fifth Year Committee, which is composed of student volunteers from the fifth-year class. The committee, in addition to setting up a mentorship program and other smaller shows throughout the year, is responsible for coordinating catering, advertising, space reservation and donations for the Chumash Show. Amy Rutty, architecture senior and committee member, said she felt the atmosphere in the auditorium reflected the show’s goals. 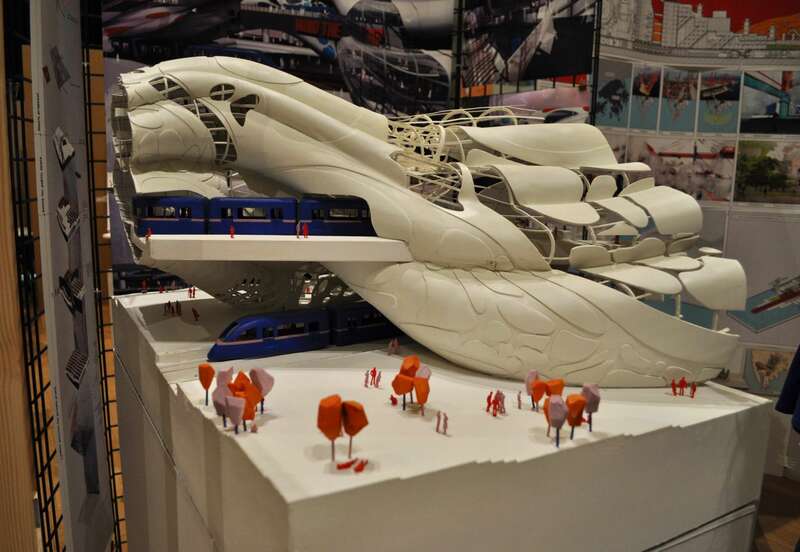 During the first four years of their studies, architecture students have a new studio class every quarter. Within each studio they are assigned a quarter-long project with set parameters. In contrast, fifth-year architecture students remain in the same studio for the entire year and choose their own project parameters for a year-long thesis project. This freedom leads to great diversity in thesis projects at the show. 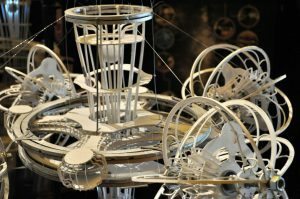 Embracing the lack of parameters, architecture senior Rodrigo Robles-Gonzalez opted to create machines instead of a building. His machines, which were designed to be useful after an apocalypse, caused a visitor passing by to briefly note that Robles-Gonzalez should go into the movie industry. Intrigued by the combination of rigid and flexible elements within architecture senior Rachel Ferry chose a non-traditional project. 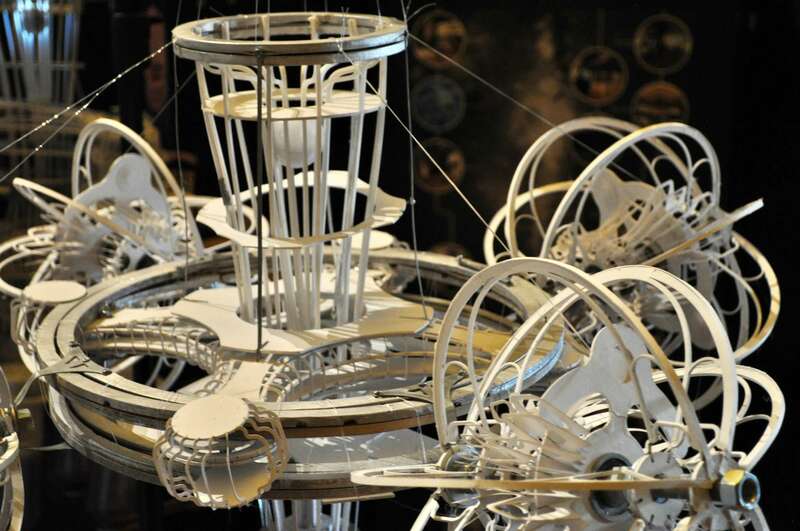 Ferry decided to create a kinetic model of housing which could be used during the building of a space elevator. A 2016 alumnus of the architecture program Shaler Campbell said this year’s Chumash Show had particularly unique projects. College of Architecture and Environmental Design Dean Christine Theodoropoulos believes Chumash Show attendees get a peek into the mindsets of fifth-year students. Greg Wynn, an architecture professor at Cal Poly for the past 18 years and fifth-year professor for the past two, said he was proud of all the graduating students.